We expect 4k quality in better codecs than the competition, with the ability to surpass 4k 60p which is the current phone upper limit for frame rates and resolution. As far as higher frame rates go we simply cannot find a lot of information when it comes to the way video is captured but read along to see something that may get a little closer to unraveling the mystery. New phone final body images have been released here in the forums. Red Hydrogen One Is this the phone we have been waiting for? As you can see in the image above which was found on the RED Hydrogen forum here there seems to be an ability to move frame rates on the phone to 120 and 240fps even in UHD and 2k cinema resolutions, but it could also mean that only the green portions are available for each resolution and the greyed out ones are not selectable as indicated by a commenter below. As to the validity of this, we will have to wait and see but it is quite encouraging to see an interface devoted to professional video options which take care to establish frame rates as a prime feature. The Youtuber Marques Brownlee has also posted a Hydrogen One Prototype unboxing which you may find interesting and will give you a sense of what the phone is like physically. RED has pushed back the Hydrogen One release date to 2nd of November 2018, with pre-orders beginning October 9th. Previous PostSony Xperia XZ3 Has Identical Slow Motion to XZ2!Next PostCanon EOS R Is a Good Start But Lacks Frame Rates! I think you completely misread the UI. As you can see, for rear camera, when “1920×1080” is selected, only 23.97, 30 and 60 fps are available (not greyed out). Presumably when set to 4k only 23.97 and 30 will be available. I would assume the 120fps and 240fps modes are only avaliable in 720p and 480p modes respectively. I’m with Edward. The big selling point of the Hydrogen is its brand and the 3D lenticular display for showing stereo 3d content and the stereo camera. Red hyped the phone and it’s features, and if it were capable of high framerates, they would have showed it off. 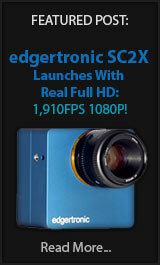 I’d guess 720p 240fps maximum, but in 3D, which would be still nice. We covered the 3D holographic display in a previous post, but thank’s for your opinion on the frame rates. 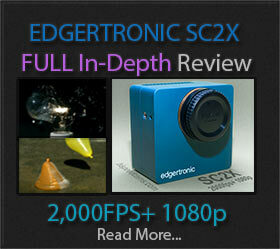 It could very well be the best video quality at full resolution but we will have to see what 120p and 240p look like. Apple will be releasing a new set of phones this month so it will be interesting to see where they go on frame rates this time.